Comment: Small stone patio for townhouse in Devonshire East, Tuckerman and Old Georgetown. Demo existing brick and pavers. Comment: Entry steps and landing were resurfaced twice in the last ten years with concrete but continue to crack and fall apart . Looking for a better solution to the problem. Comment: Water leaking into our basement garage from outdoors, which has a brick stairs/wall. Was told that the mortar is missing/gone and needed repair, as that might be the cause of water leaking in. 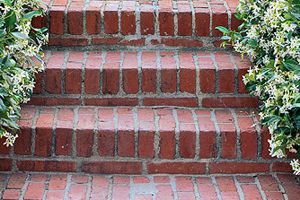 Comment: I need to have an outdoor brick staircase leading to my front door repaired along with the accompanying railing. Moister had seeped into the brinks, expanded during the winter freeze and broke up the mortal and bricks. The rallying has rust spots that have compromised its stability. I would like an estimate for the job. Thank you. Comment: I am looking to have a stone patio installed in my back yard, I believe it will be about 20'x20'. I am interested in recommendations for the material used. Comment: I would like to get an estimate for fixing my stepping stones. Comment: The house was once effected by termite. The concrete between the ground and the house has a hole. The hole needs to be filled. I can provide pictures. Rockville Brick & Stone Masonry Contractors are rated 4.74 out of 5 based on 1,773 reviews of 53 pros. Not Looking for Brick & Stone Contractors in Rockville, MD?